As we walk to school, Lily holds my hand and talks to me in a serious way. Emmy holds my other hand, skips and jumps along until she breaks away to run ahead of us. Almost three years apart in age, so different and yet so alike. From the moment Emmy was born, she was different from her sister. Lily would have nursed 24 hours a day if I let her; Emmy would push away from me as soon as she was full. Lily loved playing with her stuffed animals; Emmy loved playing with baby dolls. Emmy, on the other hand, would never let anyone bestow a nickname to her rather long name. The only place she is known as “Emmy” is here on this blog. Lily loves scary movies (such as Finding Nemo and Toy Story 3). Emmy does not. Lily loves roller coasters. Emmy does not. Emmy has a huge sweet tooth; much bigger than Lily’s. Emmy loves to sing; even more than her sister. 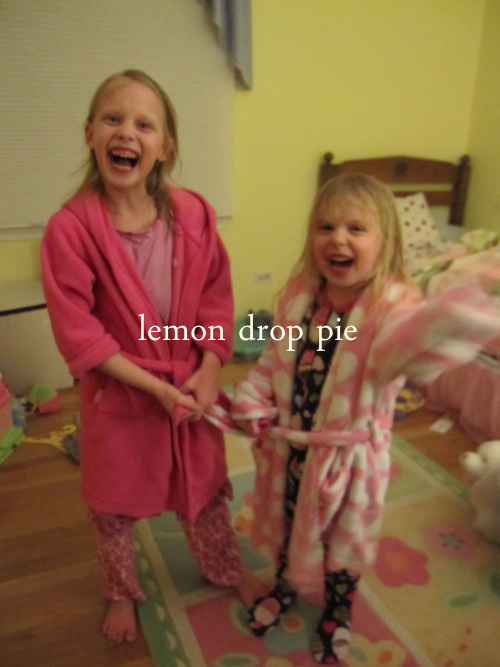 Emmy and Lily love to be silly; they love to dance around the house; they love to read books with Mommy and Daddy. And even though at times they may deny it, they love each other. This post was inspired by Sisters, written by David McPhail. To read more Simple Moments, visit Hyacynth at Undercover Mother. Such a sweet post. I love how children are born with their set ways, each person unique! They are going to LOVE to read this when they get a bit older. Such sweetness between sisters. Have you ever read My Sister Says? 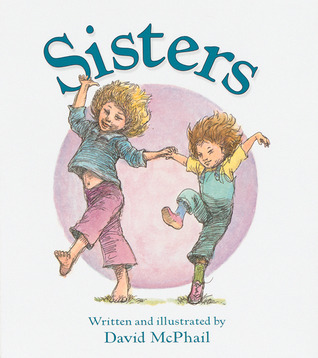 My sister and I loved that book. Oh I just love that Ginny..I can just imagine you walking along together 🙂 Ahh so sweet! They usually do…but as I type this, one is not sharing so the other one is screaming! Ah, the joys of motherhood. They compliment each other perfectly. Sweet sisters! Thank you! I'm so happy that they like each other…most of the time! I also have two daughters and they are just so different, always have been. I'm always amazing how two girls with the same parents came out so very different. That is so true! And now…I really have to go read about Brownie in a Mug!